The key to growing sweet peas successfully is soil preparation – dig very deeply, at least a foot, and add lavish amounts of manure. They languish in hot weather, so in warm climates, such as in California or the lower southern states, plant sweet pea seeds fall through late winter for early spring bloom. In cold zones, it’s much wiser to do your soil preparation in the fall, partly because sweet peas need to be planted so early that the deep frost may not be fully out of the ground. 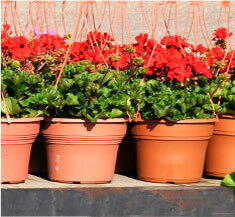 You can either start seeds indoors — in deep containers to prevent root disturbance at transplanting — or plant them outside about 2 inches deep as soon as the ground thaws in spring. Either way, soaking the seeds for 24 hours before planting or filing them a bit speeds germination, which takes about two weeks outside but happens much quicker indoors with bottom heat. Slugs love sweet peas, so be prepared to fend them off your seedlings. And pinching out the tips when the sweet peas are 4 or 5 inches high will give you more stems and a stronger plant. 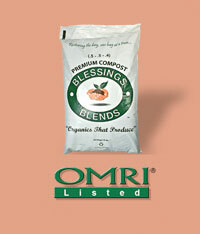 Apply a 2-inch-thick layer of Blessings Blends OMRI-Listed Premium Compost (.5 – .5 – .4) Compost helps soil retain moisture and suppresses weeds. Keep your pea plot free from weeds, pulling offenders by hand or cultivating very shallowly.